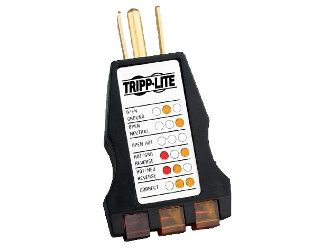 TrippLite Ground Tester, AC Outlet Circuit Analyzer. Simple to use plug-in AC outlet circuit tester. Instantly displays several common wiring faults. Easy-to-read lighted display.